This past weekend was a goodie. It was filled with sunshine, Oregon bounty, contemplation, reading and time with Jesse. It felt great all around and productive too. It started with sleeping in on Saturday morning and taking a little leisure time at home before going out to breakfast at Besaw’s. We had to wait for a bit once we got there, but that’s not unusual. Luckily, it was bright and sunny outside, which made for a pleasant wait. Once we got settled, I surprised myself with my order. 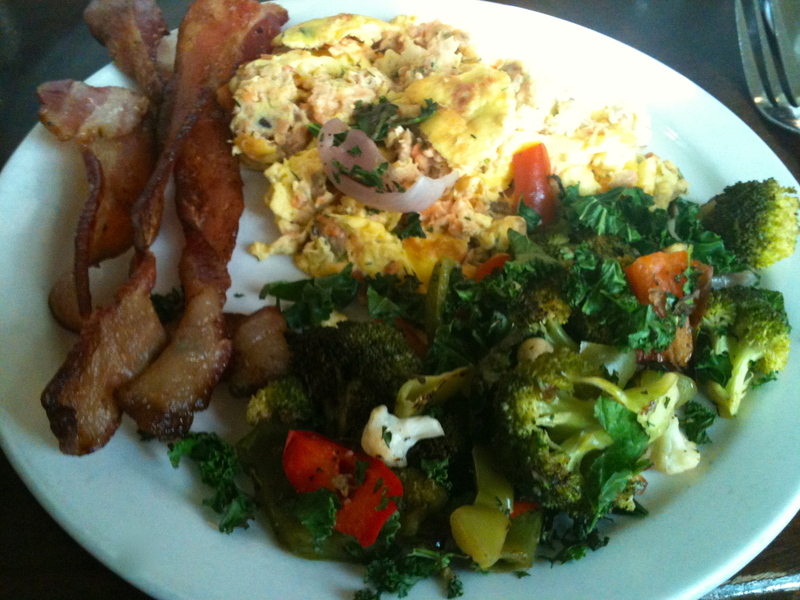 I always order the two-egg meal with sauteed veggies and bacon…ALWAYS! Well, this time, I got the salmon scramble (no cream cheese) with veggies and bacon. Call me crazy for switching things up, right? Nah, not really, but the change is good for me. The scramble was pretty tasty (it was just house-made smoked salmon and fresh herbs), but I think I’m still partial to my usual. It’s a classic. My Saturday breakfast at Besaw’s. I accompanied it with hot lemon water. 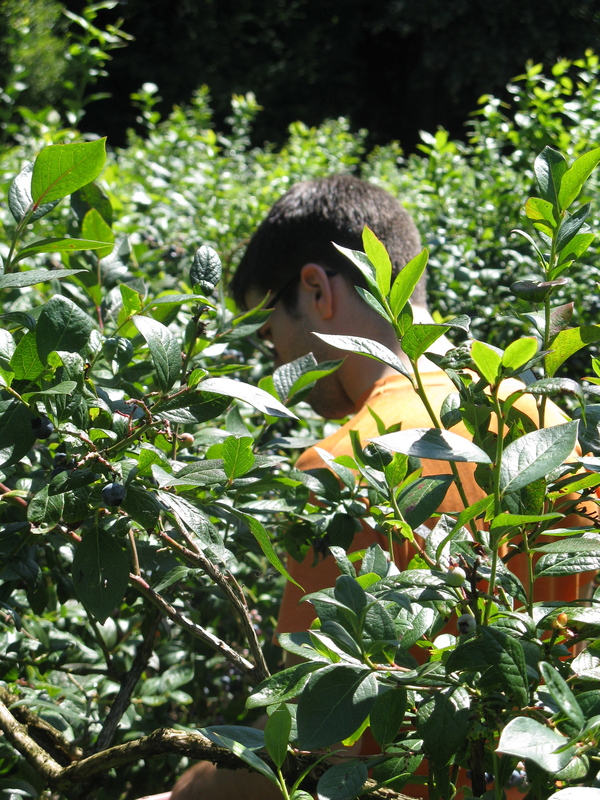 After breakfast, Jesse and I drove up to Sauvie Island to pick blueberries. 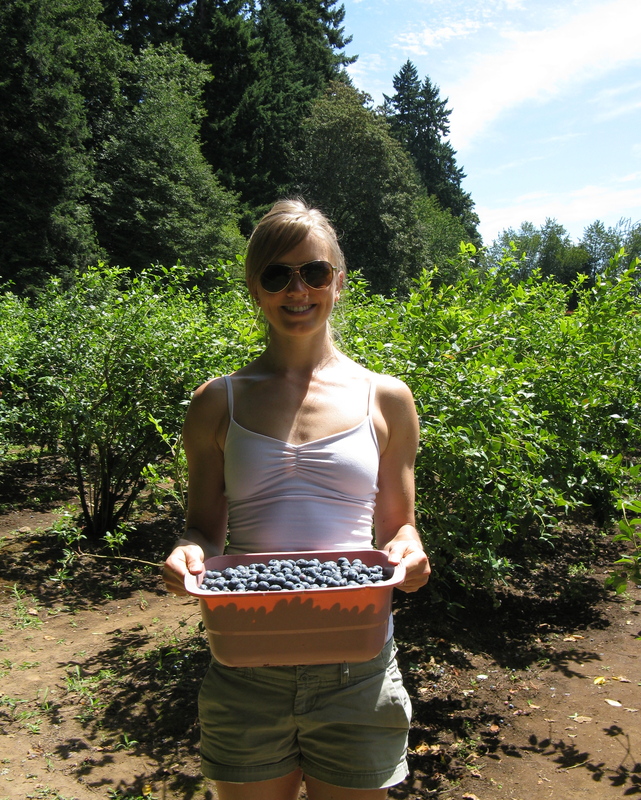 We go every summer and to the same place: Sauvie Island Blueberry Farm. 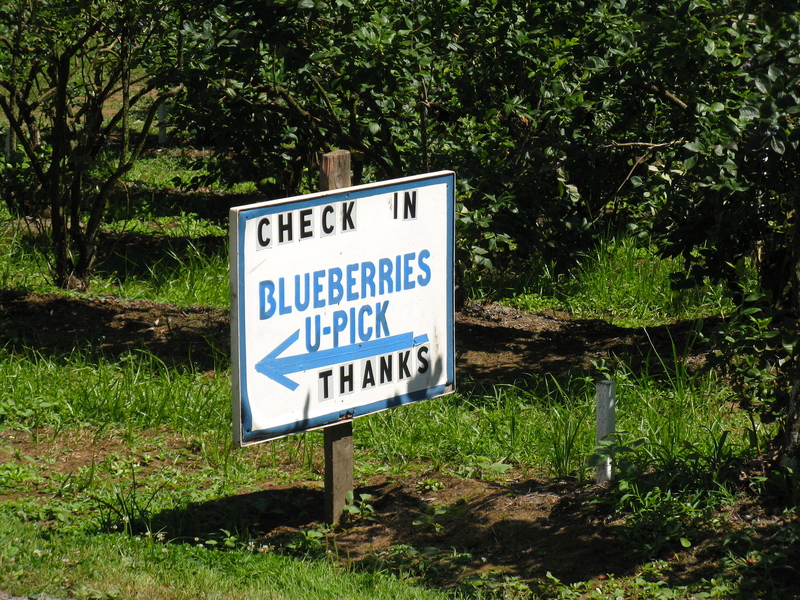 They specialize in blueberries, and have the BEST and BIGGEST ones around! Remember when we went last summer? We went to Besaw’s before picking last year too. I’ve decided that Besaw’s is now part of the yearly tradition. It is my favorite breakfast place, after all. My picking style is pick a bunch, eat a bunch, repeat. At least, that was my picking style this time. Normally, I only focus on filling my bucket, but this time I couldn’t resist snacking on them too. In the end, we each filled a tub and accumulated about 15 lb of fresh, plump blueberries. After we got home, we washed and spun the berries, and put them into freezer bags. Of course, we left a huge bowl in the fridge for eating too. It’s so wonderful to open the refrigerator door and see a bowl full of gorgeous, fresh blueberries. On another note, my blueberries n’ cream scramble was featured on Mark’s Daily Apple for Weekend Link Love! I’m so flattered and actually, this is my second recipe to be featured! Mark Sisson is seriously one of my heroes, so it’s a real pleasure and I’m honored. Sooooo jealous of everything!!! Besaw’s, berries… And, how are you SO amazing to now have TWO featured recipes on Mark’s Daily Apple? You rock!! It was a wonderful weekend, indeed! As for my recipes on Mark’s Daily Apple, I feel fortunate and pretty darn special too! I’m always grateful.